Exhale! They made it through, somewhat unscathed, and our boys in bright lycra are rewarded by flying to the mainland. Let part II of this grand race begin. England, you gave us three exciting and harrowing days of watching racing. The huge thanks from the riders for your enthusiasm was equally matched with their pleads to not endanger yourselves, your children, or themselves. I can't say there was much improvement. 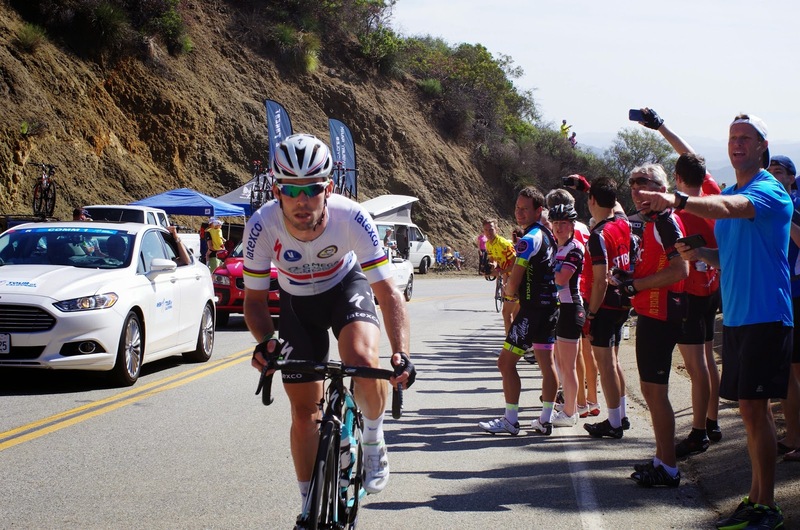 By the start of stage 3, it was to the point where I expected to see a video produced titled, "We are the wives and mothers of the peloton, please keep our boys safe." After three very stressful days of gripping the handlbars for dear life (as if high watts and steep climbs were not enough of a challenge) race organizers probably should have scheduled a rest day tomorrow simply so the riders (and TV viewers) could unwind from the stress of yelling "get out of the way!" But no, the race starts up again tomorrow afternoon in France. 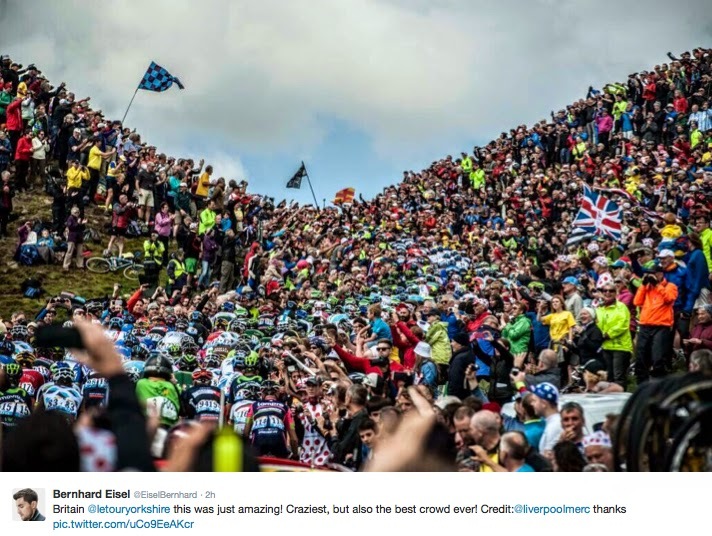 One thing is for sure, the Tour Organizers were so thrilled with the turnout of spectators and warm welcome, the Tour de France will surely return to England soon. The crowds were impressive. 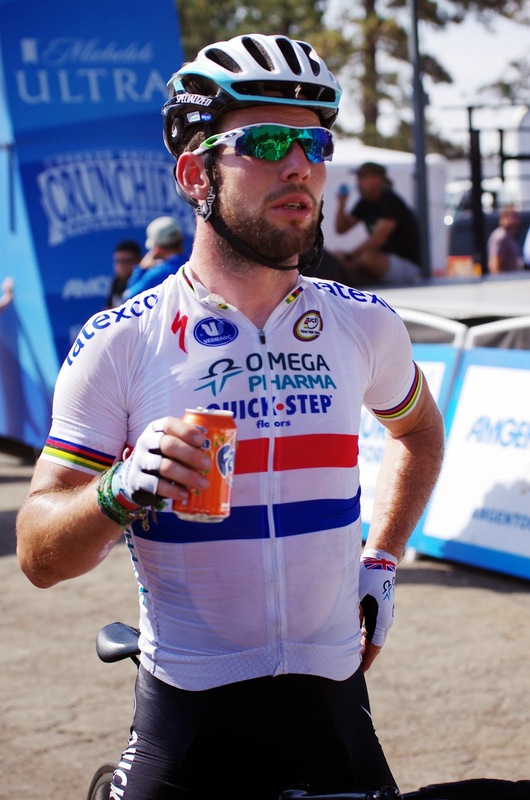 I grudgingly got used to not seeing Bradley Wiggins (the current British National Champion Time Trial, Olympian and former Tour winner), David Millar (in his final year of pro racing), or Peter Kennaugh (the current British National Champion Road) at this year's Tour de France, but now we've lost Mark Cavendish, on day one. Bummer! It was his fault, he admits it, he didn't read the sprint, but some mistakes shouldn't result in being splayed out on the road with the future King and Queen of England waiting at the finish line, awkwardly trying not to look too disappointed. 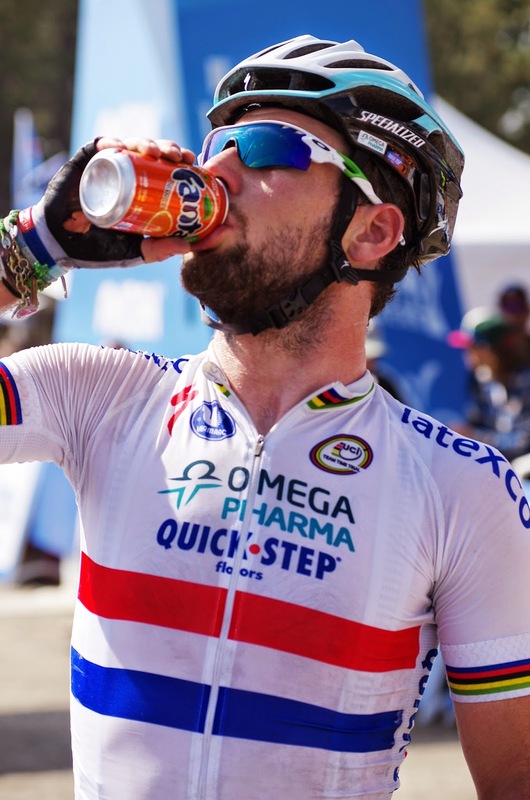 For us fans, we sadly leave Cav behind. 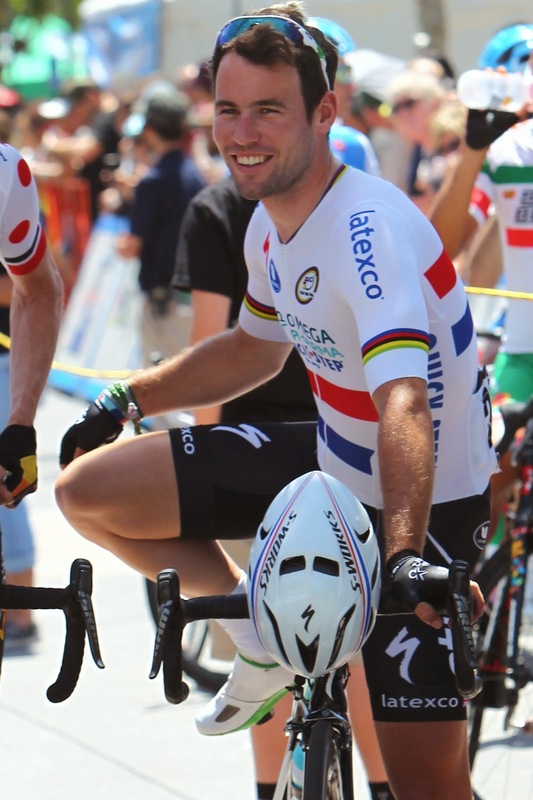 So I thought I would share some photographs I took of a happy Mark just six weeks ago at the Tour of California. And will again. 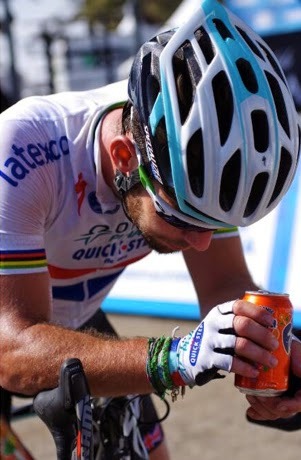 I am so sorry for Mark's "gutted" disappointment, but he has known dissapointment before and will be back stronger. 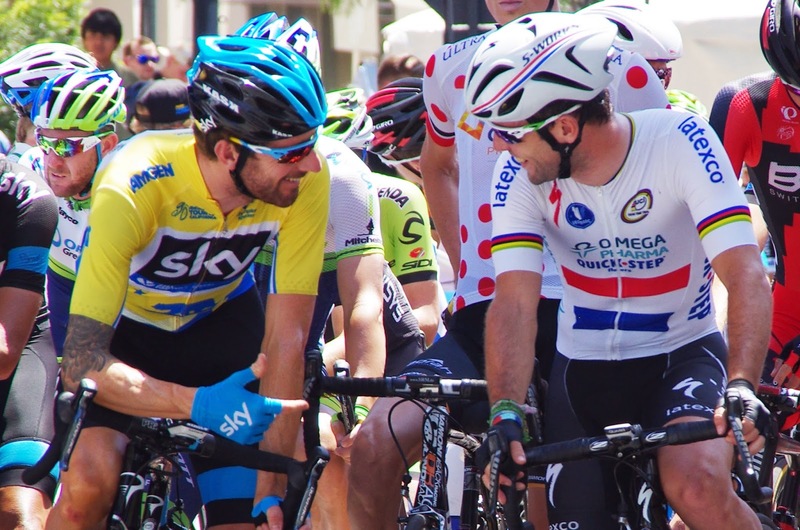 The thrill of the sprint adds much to the Tour de France every year. I hope the excitement and controversy continue even in Mark's absence. 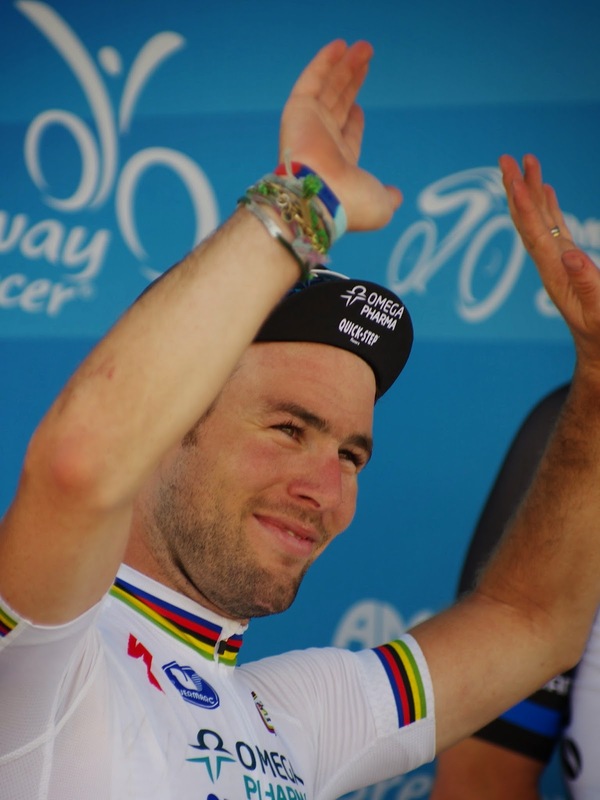 Au revoir Cav, heal well, we'll miss you! 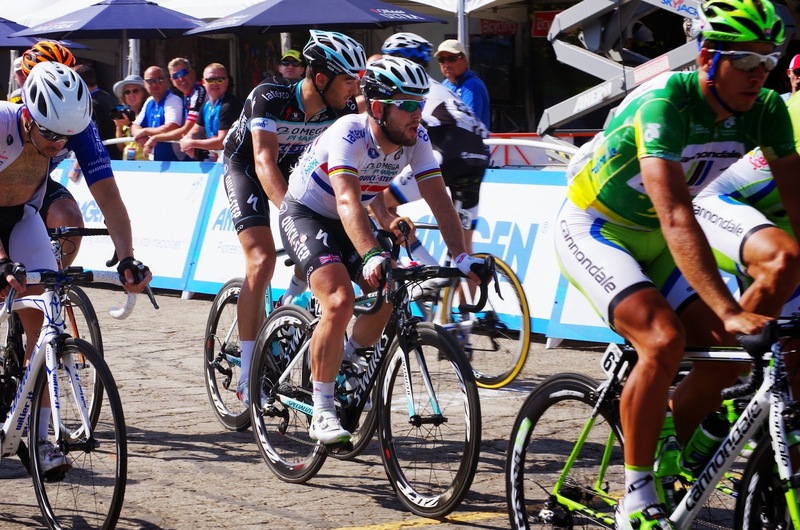 Honorable mention to @JeredGruber for his photos. You can't see the road for the fans. 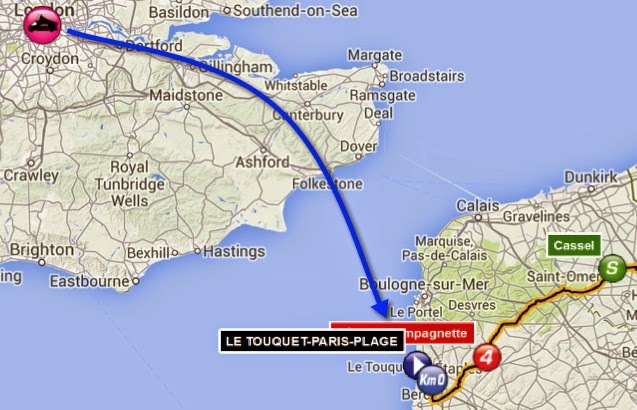 STAGE 4 - hopping the channel to LE TOUQUET-PARIS-PLAGE, FRANCE, stage start at 13h35 tomorrow! The big cobbles are in Stage 5!